For those who spend their days slicin’ and dicin’ material—be it for rough prototyping or simply just opening up all those Amazon purchases—having the right utility blade is an absolute must. While we love the simple and old-fashioned X-Acto blade, we’ve found them to be better for precision cutting versus all-around, at-the-ready utility. 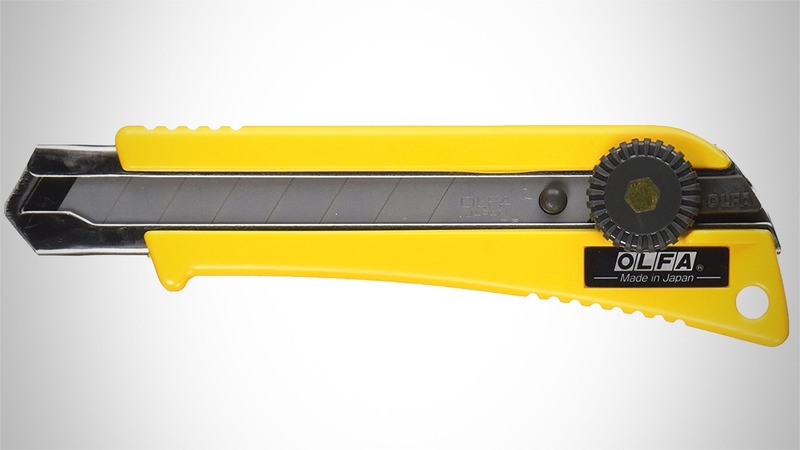 This grippy heavy-duty cutter makes use of OLFA’s unique snap-off blade system, so you’re never without a sharp blade at the ready. And with an anti-slip rubber grip design featuring a ratchet-wheel blade lock for safety, you won’t have to worry about slipping or unexpected pocket surprises.